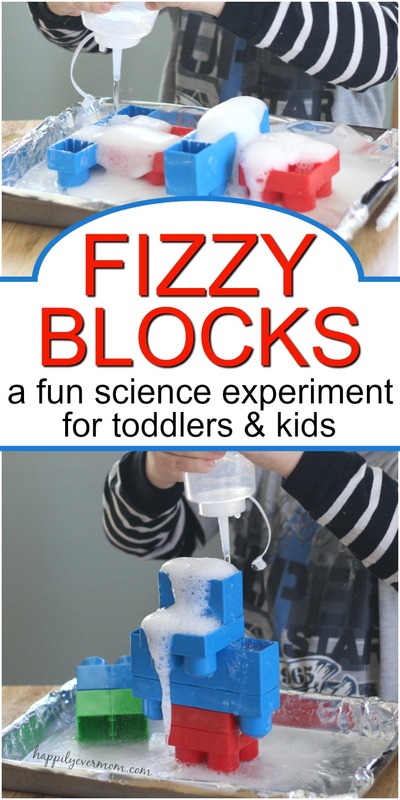 Inside this post: an easy toddler science experiment with baking soda and vinegar and Mega Bloks. It’s time to entertain your kid with the easiest toddler science experiment ever. Do you have an abnormal obsession with baking soda and vinegar experiments too, or is it just me?! Because it gives me all the heart eyes to think about this simple science experiment. I mean, erupting Mega Bloks?! I’m pretty sure that you’re going to want to try this easy toddler science experiment immediately! What do you mean by Erupting Mega Bloks? I’ll get into all the details below, but this is a fresh way to do the “classic” baking soda and vinegar experiment with your kids. Instead of using a flat cookie sheet with baking soda spread along the top, like in this rainbow baking soda experiment that we’ve done in the past, we used upside down Mega Bloks and filled them with baking soda. What is the Classic Baking Soda and Vinegar Experiment? When you mix baking soda and vinegar together, it causes a reaction. You’ll hear a “fizzing” sound once the vinegar touches the baking soda and you’ll see bubbles form immediately. If you have any other questions, just leave a comment below and I’ll do my best to answer each and every one. What’s the best part about the materials you’ll need? 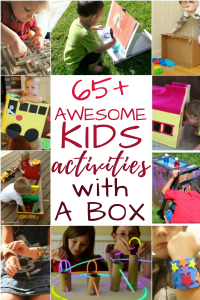 Most of these items are in your pantry and your playroom, so you should be able to do this with your kids right now! Instead of using a bottle to fill with vinegar, use the medicine syringes that you get with infant Tylenol. It makes this activity last much longer. 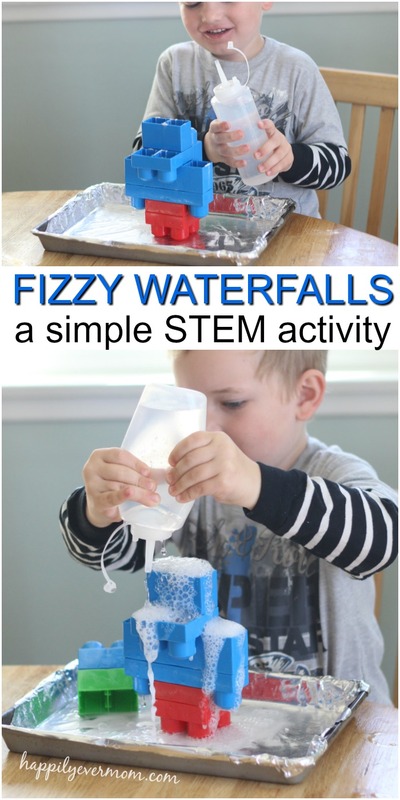 How to do this simple toddler science experiment! 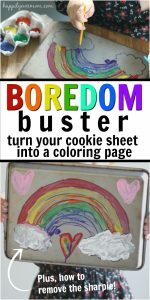 Line a cookie sheet with aluminum foil. Let kids squirt vinegar into the blocks! When all of the reactions have occurred, dump the excess vinegar out of the blocks and you should be able to squirt more vinegar into the blocks and cause more reactions. You’ll set up the same way as above, except that this time you’ll build a structure instead of lying the blocks on a flat surface. It’s a challenge to build a structure upside down! Let little ones build “right side up” first and then flip the structure upside down to fill with baking soda. Or, challenge them to build an upside-down structure that won’t fall over. It has to be stable enough to hold the baking soda and the force of the vinegar! Still not convinced to try this simple experiment? 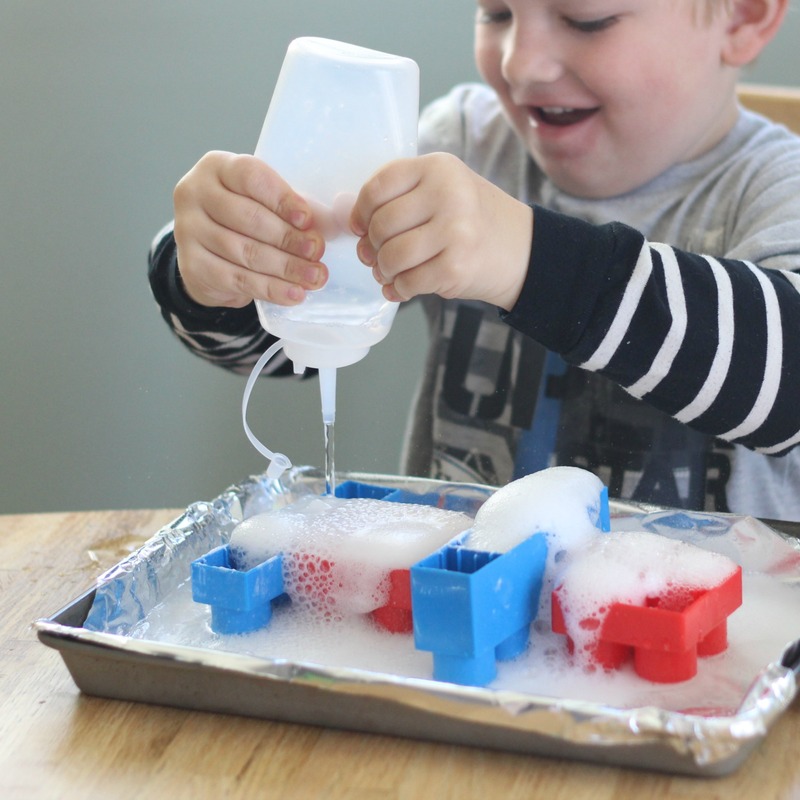 Check out MORE simple ways to use baking soda and vinegar with toddlers and preschoolers. Now did the abnormal obsession with baking soda and vinegar bug bite you?